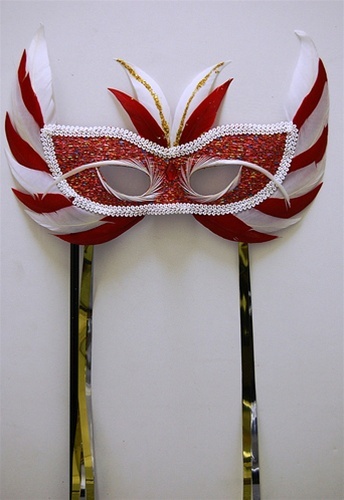 Feather Mask with Handle. You hold the mask to your face. Good for Costume Parties, Balls, Mardi Gras, Carnivale, Gifts and other functions. Sold by the PIECE.